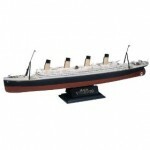 Titanic toys are a great addition to any collection or Titanic enthusiast. The legendary vessel as well as the movie have been made into a myriad of different recreational items to the joy of collectors or youth interested in the historic event. The 100th anniversary of the Titanic’s maiden voyage will occur on April 14, 2012 and you can be sure that many collectible Titanic toys and toy Titanic models will be released by leading manufacturers. Until the epic event takes place, there are many previously released Titanic toys to choose from. Listed below are some of the more popular Titanic toys made throughout history. Titanic toy boats have been in production since virtually the time that the Titanic was constructed. These are the less obvious Titanic toys that you may not be aware of. Many manufacturers of model cars adopted the idea of making a toy Titanic model complete with all the intricacies of the original model. Most are 1:400 scale and smaller and offer kids with a challenge and a truly amazing work of art. The Titanic was a masterpiece of her time being the largest cruise ship to ever sail the Atlantic in 1912. These models reflect the craftsmanship of the original Titanic and make great Titanic toys for children who find interest in the legendary vessel. 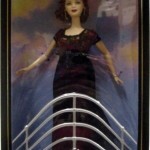 Some of the more popular and high priced Titanic toys are dolls based on the 1997 Oscar winning adaptation of the event by director James Cameron. 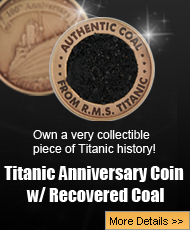 These collectible items are estimated at a whopping $80 straight out of the box and celebrate the wonder that was Titanic the movie. The Jack and Rose dolls are great representations of the characters and the idea even sparked a Barbie edition of the Rose character from the movie. There have been many Titanic puzzles made including the ship as a whole, during construction, and even artistic depictions of the disastrous sinking. Unique puzzles including the newspaper article that outlines the tragedy have also been created. 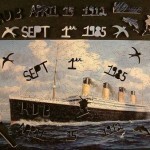 Collectors items indeed, Titanic puzzles based on famous Titanic paintings have been created into various size puzzles for a wide variety of ages. Other Titanic toys that are a little more difficult to find include the Titanic board game, robot transformers, Titanic paintings cards, musical banks, and Heart of the Ocean dress-up accessory.